The MICRONAIL™ Fixation implant is the first implant of its kind available in the United States. It allows patients to start using their wrists within one to two weeks in a limited way, whereas traditional treatment methods may immobilize the wrist for four to twelve weeks. (Source: CORR, April 2006). 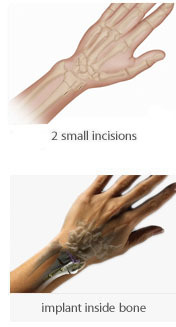 With MICRONAIL™ Fixation, surgeons can treat a broken wrist through a unique, minimally-invasive surgical technique. The MICRONAIL™ implant is placed inside the patient’s fractured wrist bone (the radius) through two small, 1-inch incisions on the side of the wrist. 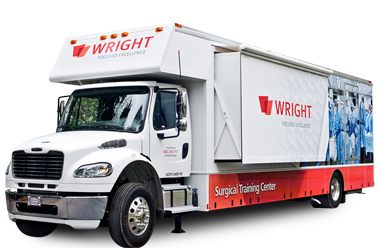 These small incisions help to reduce the soft tissue damage caused by traditional surgical repair treatments.